The reconstruction of the former Holy Angels Convent in Sydney’s historic North End is well under way. The removal of asbestos and lead contaminants is completed, and work on the building’s core systems has begun. Final designs for the floor plan and landscaping will be approved shortly. 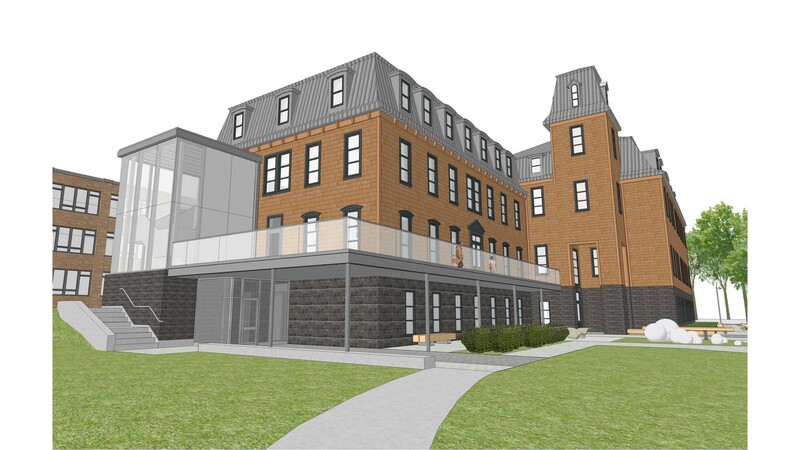 Once complete, the former convent will be the home of the new Cape Breton Centre for Arts, Culture, and Innovation. The project is being led by New Dawn Enterprises, Canada’s oldest community development corporation. New Dawn is inviting the public on-site to view the Centre’s progress during an Open House on April 7, 2018.